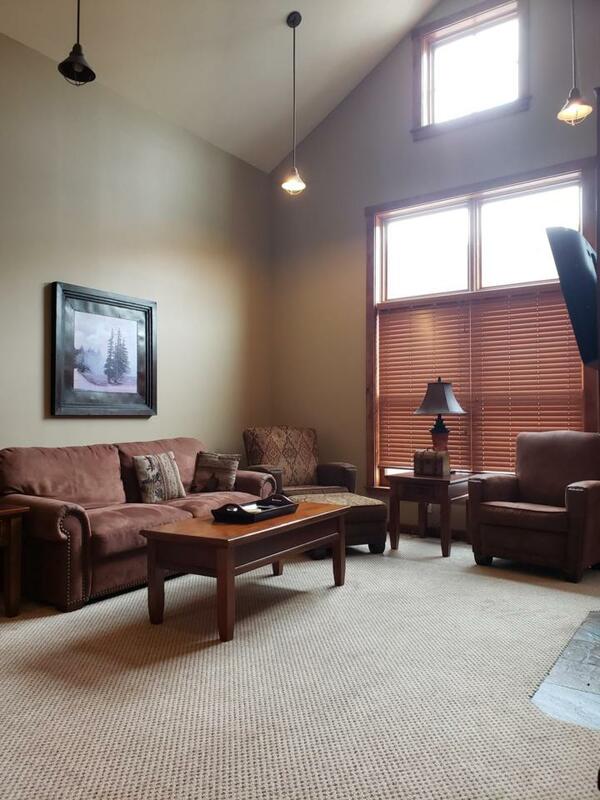 RARE 2 BEDROOM 2 BATHROOM TOP FLOOR UNIT WITH LOFT STYLE CEILINGS AND GAS STONE FIREPLACE. This is the ideal retreat! Enjoy a large open kitchen with granite counter tops and plenty of custom wood cabinetry, lots of windows that extend to the ceiling for maximum natural light, dual entry to the deck from the master suite and the living area, and lest not forget stunning mountain views all within close proximity to world class outdoor activities. Unit is presented fully furnished.